Like most water treatment plants, there is particular attention paid to the problems of corrosion. 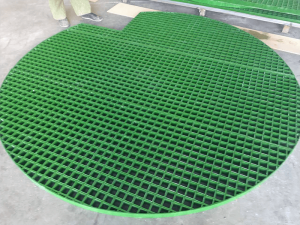 The use of a varied number of chemicals and acids, more or less means that only materials like FRP and stainless steel is acceptable for construction of various access platforms, drain covers , pipes , vessels and tanks. 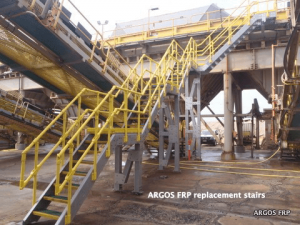 Argos FRP is experienced in constructing platforms and stairs in these hazardous environments.  Our attention to detail and sourcing only quality control FRP products ensures the products supplied will last the required design life and fit for purpose. Corrosion is a major problem with water treatment plants due to chemicals and acids. Our products are preferred for such applications as in addition to other features FRP is totally non corrosive , lightweight , does not require hot works to install and is significantly lower cost than stainless steel. 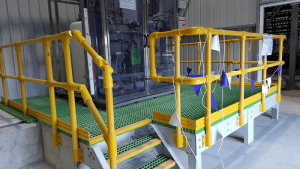 Our custom designed FRP Platform & Staircase supplied for a Water Treatment plant- Chemical Dosing Area Argos FRP designs – builds long service life access in highly corrosive environments.